Once again we helped out TheMolecule in NY for the show "Feed The Beast". 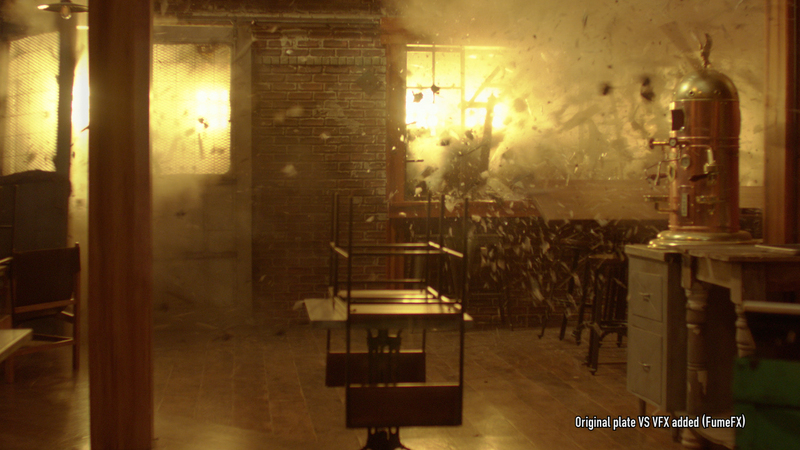 This is a restaurant explosion sequence that had FumeFX and Thinking Particles enhancement done. The fire in the last exterior shot after the explosion is all comp elements! Only the fire balls are CGI!